Sense of place: Between surf-centric Huntington Beach and posh Newport, the more suburban Costa Mesa never quite touches the coast. At a glance: Strip malls, office parks, and car dealerships. If you look a little closer: Hubs of creative start-up shops full of O.C. tastemakers in skinny jeans and flowy tops. Birth of cool: The city’s first “anti-mall,” the Lab (2930 Bristol St.; thelab.com), opened 20 years ago. These days, a DJ spins tunes in the courtyard next to vintage clothing stores. Next on the scene: The Camp (2937 Bristol; thecampsite.com), an alterna-mall across the street from the Lab, is especially good for lunch—from the pork bánh mì at East Borough ($) to the vegan chili of Native Foods Café ($). Newest addition: The OC Mart Mix (3313 Hyland Ave.; theocmart​mix.com), a few freeway stops away, has B. Candy, Savory Spice Shop, and Saturday sewing classes at Fashion Camp OC (fashioncampoc.com). 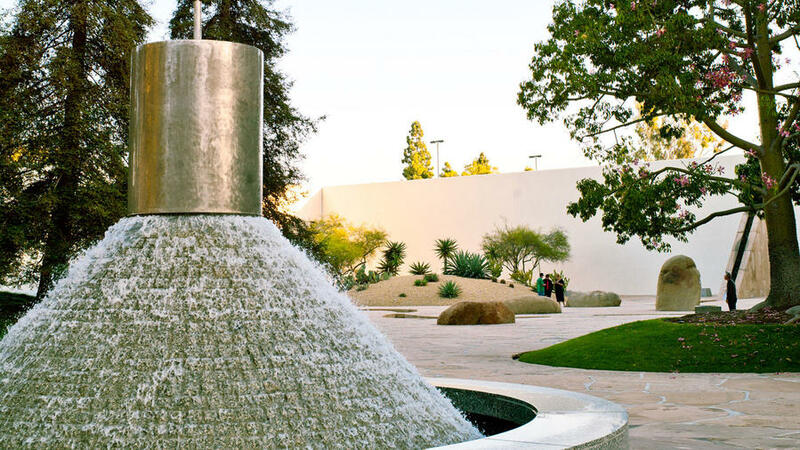 Stop in a secret garden: Hidden between two office buildings, California Scenario sculpture garden, created by famed artist Isamu Noguchi, has areas devoted to the state’s varying geography: There’s a mini redwood forest, a tiny desert, and a little mountain stream. Though it was installed more than 30 years ago, few outsiders know about it, so it’s usually quiet. 611 Anton Blvd. Fun on two wheels: At one of the OC Mart Mix’s newest stores, Nirve Sports, you can customize the cruiser bike of your dreams, complete with a decorated saddle, special tires (Hello Kitty treads, anyone? ), and a basket with a liner that turns into a tote bag. The shop’s outer walls roll up to the ceiling, making it even easier to wheel a bike out the door. 3313 Hyland Ave.; 714/948-6199. A department store with a green twist: Pop into Seed People’s Market, a one-stop shop for eco-conscious living at the Camp. Check out the handcrafted jewelry, organic cosmetics, reusable bamboo utensils, and wooden baby toys. 2937 Bristol St.; 714/708-2277. Tacos go wild: Refuel at Taco Asylum, the newest and most-buzzed-about restaurant in the Camp. The menu lists nine tacos, and that’s about it—but they’re all delish. We like the chickpea purée with wild mushrooms and the short ribs with pickled red onions. Wash it down with a canned microbrew or Maine Root soda. $; 2937 Bristol St.; 714/922-6010. A garden in a pot: Before you leave the Camp, stop by the shiny Airstream trailer near the parking lot, otherwise known as Organic Designs by Aggelige, and peruse the potted succulents and tillandsia air plants that perch on brightly painted wooden shelves or hang from a trellis. Choose from among the small, colorful recycled pots, each filled with three or more tiny succulents. 2937 Bristol St.; 714/662-7996.